Zincy Pro is a powerful & feature-rich WordPress multipurpose theme, perfect for business, corporate, creative agency, blog, portfolio, photography, and any other minimal website. It is modern WP theme that is completely based on Customizer. Zincy Pro is a powerful & feature-rich WordPress multipurpose theme, perfect for business, corporate, creative agency, blog, portfolio, photography, and any other minimal website. 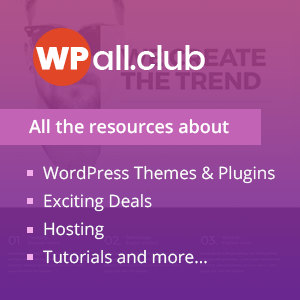 It is modern WP theme that is completely based on Customizer. Customizer is awesome for it lets you simultaneously live preview each changes you make on the site. You will be able to quickly build a website of your own using this theme. This theme offers different kinds of page layouts: boxed or full-width. Besides, you can get multiple post layouts like news/events layouts, testimonial layouts, single post layout etc. Again you can configure the post and page layouts with sidebars as per your requirement. Loaded with great design, extensive features amd powerful theme options, Zincy pro is a perfect WordPress business corporate template. This theme is fully responsive, SEO friendly, cross-browser compatible and translation ready. Hey Buddy!, I found this information for you: "Zincy Pro – Premium Multipurpose WordPress Theme". Here is the website link: https://8degreethemes.com/wordpress-themes/zincy-pro/. Thank you.